One of our forefathers in the faith from whom I still learn with some regularity is Charles Haddon Spurgeon. He was a pastor in London, England, from 1854 until his death in 1892. As followers of Christ, God is faithful to guide us, and his guidance is found largely in his written Word. So, if you find yourself in need of guidance, the place to turn is to the Scriptures. Not just for a moment; not just for a proof-text; not just for a verse. Instead, turn to the Scripture day after day seeking God’s counsel and guidance, and over time he will surely give it to you. 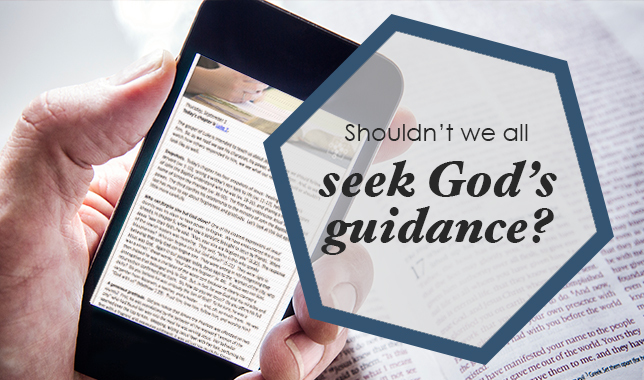 The importance of this habit of seeking God’s guidance daily through his Word is hard to overstate. That’s why over the past several months I have invited everyone at Ingleside (and beyond) to join me in reading “a chapter a day” of God’s Word. Why “a chapter a day”? It’s systematic. Day by day we read through one book of the Bible after another. Over time, you will be guided by the whole counsel of God. It’s understandable. If you subscribe to the daily email, you will always have a takeaway that helps you understand and apply what you are reading. Sign up for the daily email here. It’s doable. A “chapter a day” of Scripture is substantial, but not overwhelming. For virtually everyone who has a heart to do so, reading and applying “a chapter a day” is a pace that you can maintain if you have a heart to do so. It’s together. Since hundreds of us are reading the Word together, we can encourage one another, discuss it with one another, and spur one another on in our walk with Christ. Married couples, parents and children, and good friends can make the “chapter a day” a Scriptural meeting place that promotes spiritual conversation and growth. So, if you haven’t done so already, I hope you will join in the journey of seeking God’s guidance and counsel through his Word – a chapter a day!